No matter who and where we all love to get free stuff. That is the main reason why the word “free” has become the most favorite one for marketers. However, we also do understand that there is nothing for free in real, and if there is, it comes with a catch. Same is the case with the free VPNs as well. So, here, we are going to discuss the benefits of paid VPN over free and why it is always better for you to choose the former over the latter. Let’s start off with a brief overview of paid VPN vs free VPN, to help those who are in a rush. Most of you certainly would have seen, if not tried, various free VPN services which make misleading claims. Some of you might also have the opinion that why bother paying for a VPN when you can get it for free. 1. Free VPN services are hard to be trusted. They need money to run the service, even if they are not asking you to pay. On the other hand, the paid VPN services charge users for their service which makes them reliable as they get the money from the user to protect their privacy via offering a good service. 2. Trusting someone to protect your privacy and security in the online world without any money at all is similar to not using anything for security because these services mostly make money off your personal data. So, it is a better option to pay a few dollars per month and fully protect your privacy on the web using a legit paid VPN service. 3. 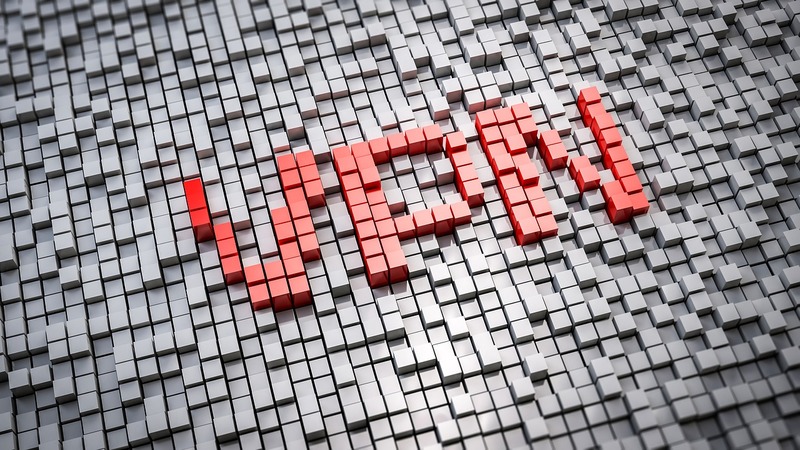 Speed is a crucial element when it comes to VPN services, but it is an area where free VPNs lack so you never really get to enjoy a seamless online experience. For that, a decent paid VPN service is your best friend as their servers are specially optimized to provide fast speeds. 4. When it comes to free VPNs, they have very limited servers which means you have to share bandwidth with hundreds of other users. However, paid VPNs to have server strategically placed in all the major countries and continents of the world, giving you the true taste of freedom on the web. Keeping the above-mentioned pointers in mind, it is clear that choosing a paid VPN over a free VPN is the right decision. Now we will discuss more why it is a bad idea to use a free VPN service in the section below. Why a Free VPN is a Bad Idea? When we say that the free VPN services are not trustworthy, we do not mean to say this about all of them. Some of the free ones are trustworthy, but these are actually the limited free plans offered by reputable premium VPN services. It is called the freemium model where the brand offers limited service for free to attract the customers. These type of free VPNs are somewhat reliable but it would not serve your purpose of using a VPN because of their limited bandwidth usage for free users and the limited amount of servers which can be accessed. Then come the other type of free VPNs who continually offer their services without charging any money from the users. Logically, they do need money to run the service and maintain their network right? Now for these, some may have strong investors at the back which is usually unlikely, while others might be making money by logging users’ data and selling it to third-parties. This is very dangerous as protecting your privacy is one of the main reasons why you choose to use a VPN, and the VPN itself is invading your privacy for a few bucks which you tried to save. These are the main reasons why you should not go for a free VPN, and instead choose a decent paid VPN that is trustworthy and provides great performance and speed. Why Paying for a Premium VPN is Always Better? In order to be fully sure about the protection of your privacy in the online world, it is better to opt for premium VPN services. You certainly know that there is nothing which comes for free in this world, and if it does, it does so with a catch. Additionally, there are numerous entities out there on the web which are hustling to get their hands on your data. So, keeping both of these facts into consideration, the most logical thing to do is to invest in an reputed paid VPN that is not only reliable, but also gives advanced security and privacy features, along with brilliant connection speeds and a vast network of servers to choose from. This will not only ensure your complete privacy protection, but it will also give a brilliant surfing experience along with the ultimate freedom to access any website or service which is not available in your region. Why the Traditional Fixed Network is No Longer an Option for Big Business Net Neutrality Is Dead, Long Live The VPN VPNs and Why We Need Them More Than Ever VPNs Solve Nosey ISP Problem What is a Proxy and Why a VPN is Better?